Open heart surgery is a treatment for a number of heart diseases, including coronary artery disease (CAD), valve disease and more. At Southcoast Health, we understand that open heart surgery can be intimidating. 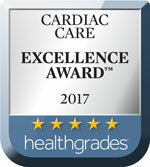 That’s why our award-winning cardiovascular surgeons provide the utmost care when it comes to open heart surgery in southeastern Massachusetts and Rhode Island. On-pump surgery is the most common method. It uses a heart-lung machine to divert blood from the heart, so the surgeon operates on a still heart clear of blood. Off-pump surgery does not use a heart-lung machine. The surgery is performed with the heart beating. Off-pump heart bypass surgery is sometimes used to reduce the risk of stroke in patients with a high risk of stroke. 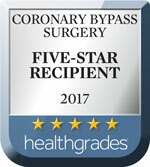 Cardiovascular surgeons perform coronary bypass surgery to restore normal blood flow to the heart muscle and reduce the risk of a heart attack or as emergency treatment for a heart attack. Your doctor may recommend surgery when angioplasty or stenting isn’t the right choice for you. If you would like to learn more about cardiac surgery at Southcoast Health, find a cardiovascular surgeon near you and schedule a consultation. 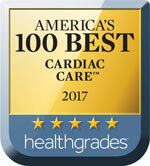 Southcoast Health performs heart surgery, including coronary artery bypass graft surgery or CABG, in Fall River, MA.